it was drawn up after detailed assessment and extensive consultation with residents, after careful consideration of sustainability and local need. 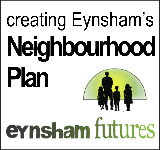 This need was estimated by Eynsham Parish Council in consultation with residents to be about 750 homes, including affordable ones. ENP cannot allocate sites or numbers of homes, as WODC’s Draft Local Plan does this, but preferred approaches are shown in the green ‘Recommendation’ boxes - in particular Rec 16, Rec 17 and Appendix A. The consultation runs until 19 September (extended by a week) at 17:00. 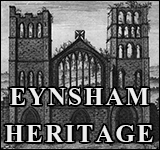 You can find it at www.westoxon.gov.uk/eynsham with the documents in a drop-down menu. 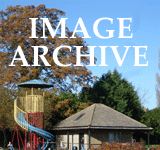 The main document is called ‘Submission Neighbourhood plan’. There is also a comment form and email address. a 150% expansion of our village, with no guarantee that roads, schools, medical facilities, etc., can or will keep pace. based on minimal analysis, no consultation with our village and no consideration of reasonable alternatives. You might like to compare and contrast the ENP and WODC plans in any supporting email to WODC. Things could get worse. 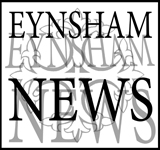 Gladman’s new proposal for 3,000 houses near South Leigh is likely to go for planning permission shortly and there is a real risk that this will be granted as well as the two ‘strategic development areas’ to the west and north of Eynsham, making about 6,000 new homes in all. An outcome like this will transform the nature of our village, turning it into an area of urban sprawl, while vastly increasing the demands on our infrastructure - roads, schools, medical facilities, etc. We could have an impact if many of us comment to say we support the community’s desire for development that meets local needs.